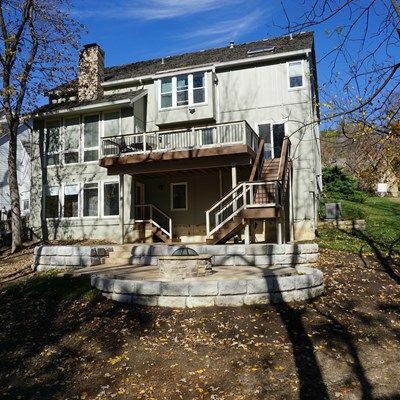 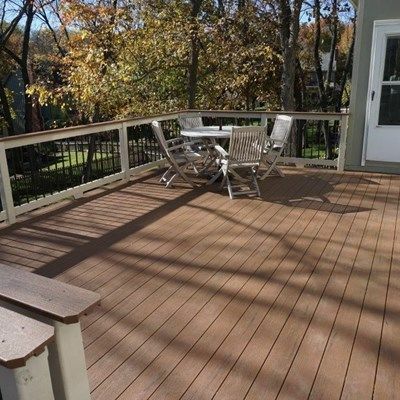 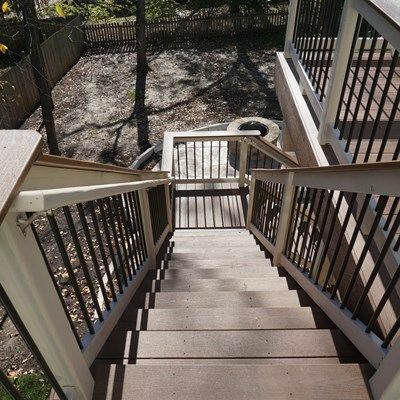 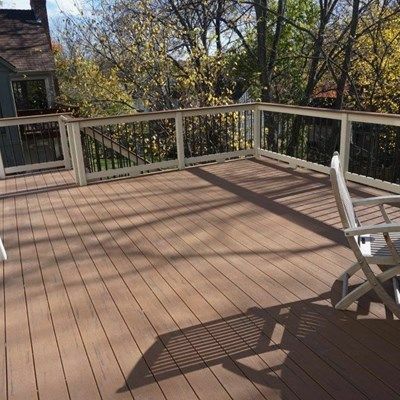 TimberTech Terrain Deck in Brown Oak with hybrid railing system stained to match house. 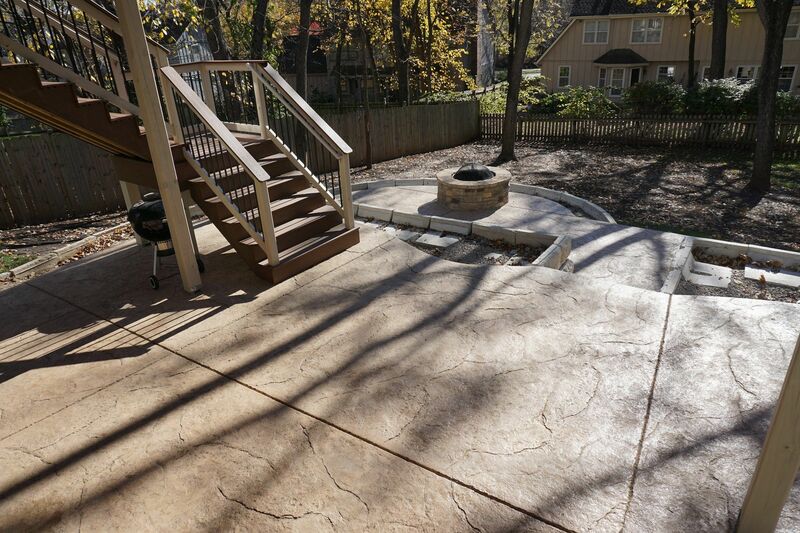 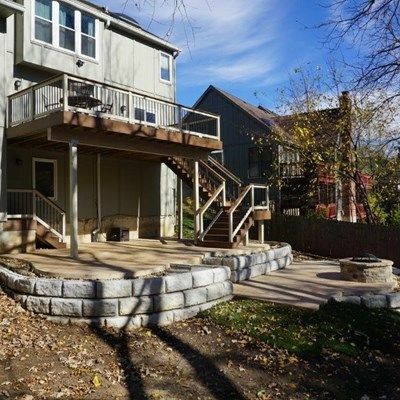 Multi-level stamped concrete patio added with retaining wall for more usable space. 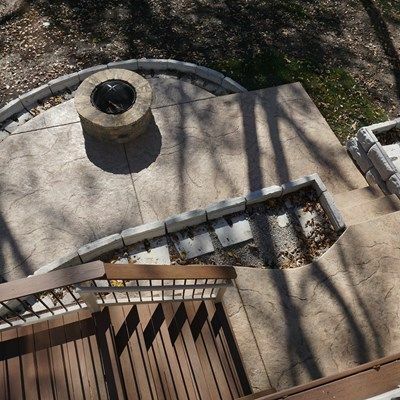 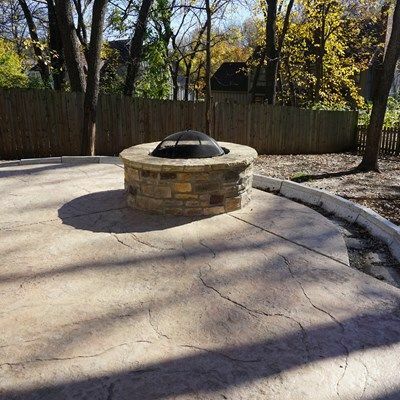 Lower-level area is finished off with a wood burning fire pit.